WASHINGTON — The first phase of the District Department of Transportation’s work on the I-295 interchange with Malcolm X Avenue Southeast starts on Tuesday, Sept. 4. The project will take at least three years, said Diyar Bozkurt, the District’s supervising civil engineer and project manager, with most of the work occurring outside of the morning and evening rush hours. “Total completion … we are planning to see in February 2022. But construction should finish by the end of 2021,” Bozkurt said. The construction is designed to provide commuters with easy access to the Saint Elizabeths campus from both sides of I-295. Currently, drivers cannot access Malcolm X Avenue from the southbound side of I-295, and drivers heading toward the District from Maryland have to make sharp turns onto the avenue from the highway exit ramps. The campus of the former hospital in Southeast D.C. will be home to thousands of workers heading to the consolidated headquarters of the Federal Department of Homeland Security. The campus will also, eventually, host the headquarters of the Coast Guard and FEMA. At some point, it may host over 10,000 employees. When done, the project will result in wider and safer access ramps, and a new roadway between the interchange and the Saint Elizabeths West Campus. In addition, the final construction will include better lighting and stormwater drainage over the full distance of the new roadways. Bozkurt said there was no strategy involved in starting the project after Labor Day: It just happened that Sept. 4 was the first date all the agencies and stakeholders involved in the project could agree on for initiating work. The project came from the GSA to support access to the new DHS headquarters, and once the design was completed, it was transferred to the Federal Highway Administration, which in turn passed oversight to the District Department of Transportation, Bozkurt explained. Early on, Bozkurt said, the project will not impact most rush-hour commuters, since much of the early work will be done away from the current roadway. That work will include widening ramps and creating temporary roadways for an eventual traffic shift. The major initial work will be done during non-rush hours. Well into the future, Bozkurt said, you can expect night and weekend closures of I-295 as work is done on permanent ramps and bridges at the Malcolm X interchange. The interchange project will be the District’s second-largest piece of civil engineering in the next few years, with the South Capitol Street Bridge being the largest. The bridge project budget is almost $500 million, while the Malcolm X interchange checks in at just under $100 million, Bozkurt said. The project will be an important one for the quality of life of residents in the area. The peripheral improvements will also bring the roads in the area up to current standards. 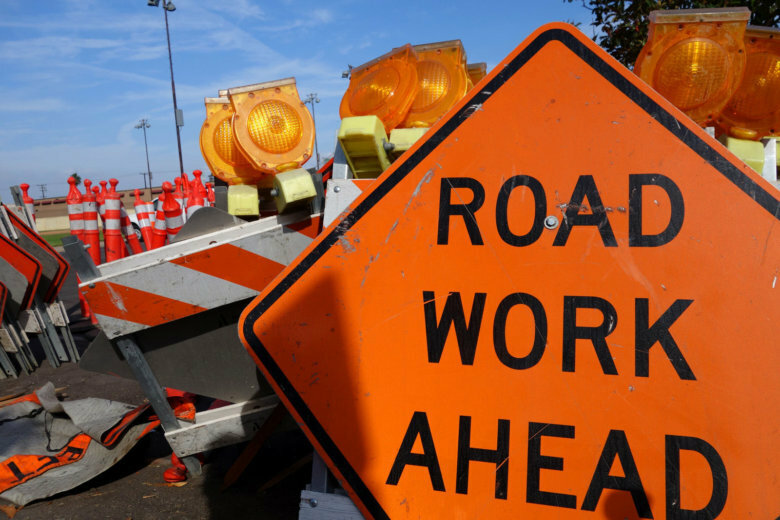 “The immediate work will not effect the rush-hour traffic until January or February of 2019. Until then, whatever plan we do, we will make sure to inform commuters, community and the other stakeholders around the area,” Bozkurt said. See the map below for the location of the project and closures.